Hello, readers! 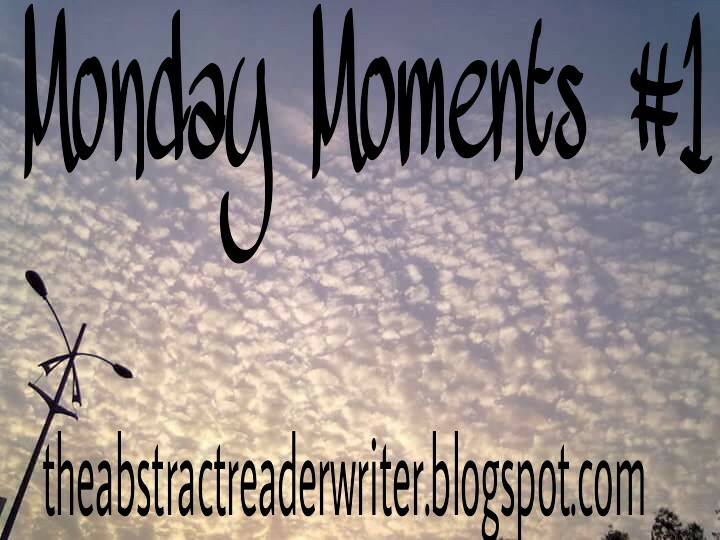 From this Monday onward, I'll be starting a series titled 'Monday Moments'. In this I'll be writing a paragraph of a moment. It'll be the description of an incident or a feeling. For example, a hug or a kid's first step or dying or achieving a dream. I'll write to express and explore the most common joys and also the uncommon miseries. I hope you love this series. Thank you! Today's topic is 'The Moment Until'. There are 24 hours in a day. Every second we are experiencing something. Every second we are going through something in our minds. Such collective seconds indulging the same thought are moments. These moments are sometimes very overlooked by us. We forget to appreciate the beauty and uniqueness of these moments. But, there are those moments until we finally experience the ultimate moment. We all love ice cream. But, there is a lot of time between buying ice cream and eating it. There's that anxiety and happiness of finally getting home and eating our favourite cuisine. That wait is just too tempting than the real ice cream, isn't it? Another example is when we are about to go on the podium and collect our graduation certificate. The moment until we are given it is equally precious. Those 3 years of hard work, exams and the long walk towards the stage. Isn't it all very exciting? Very adventurous? There's that lingering moment of longing before the lips are close to sealing a kiss. Isn't that moment until the kiss electric? There's the tension before writing an exam wherein we are almost sure that we remember nothing. That moment until the exam is so stressed and over-rated. But, it doesn't matter later because we actually remember and make up our own answers scoring good. Most of the times, we just forget these tiny moments until the big thing. The big thing is always remembered, felt and reminisced. But those valuable moments until the big thing also need appreciation because without them nothing would be possible. Such infinite moments until the big thing are what constitute our lives. Such moments never die. They only keep getting better, more interesting and stay with us forever. So, today, enjoy all those moments until your big thing. Just stop for a second and appreciate your life with all such moments! What a beautiful reminder to savor the moment. Sometimes I have so much expectation for the future that I don't enjoy the preparation for the future. Such a lovely post! Life is managing moments. Living the present moment, leaving the past moment and loving the coming moment. Thank you for this! I need to learn to keep living in the present, to enjoy the moments I'm feeling right now. I need to live in the present more, too! And not be so connected to my phone. Sounds like a cool series.